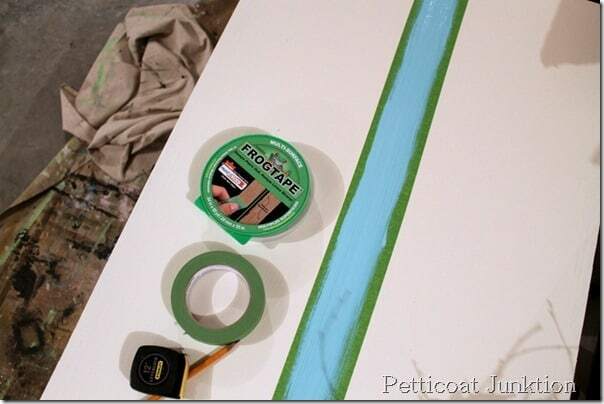 I use painters tape in almost every project I tackle. 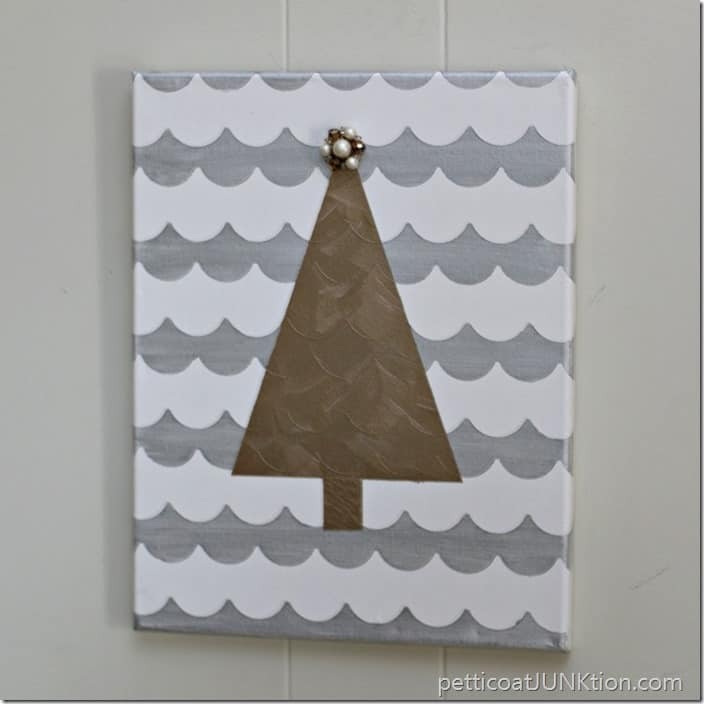 Sometimes I use the paint for it’s intended purpose and sometimes I try special paint techniques using the tape. 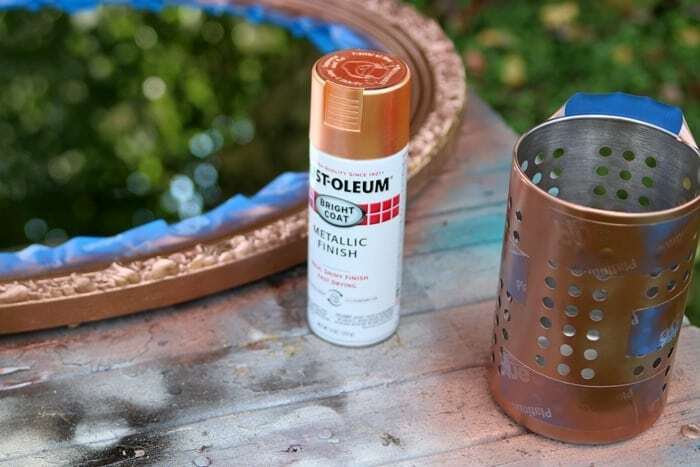 I’m sharing a few of those tips and special techniques today. 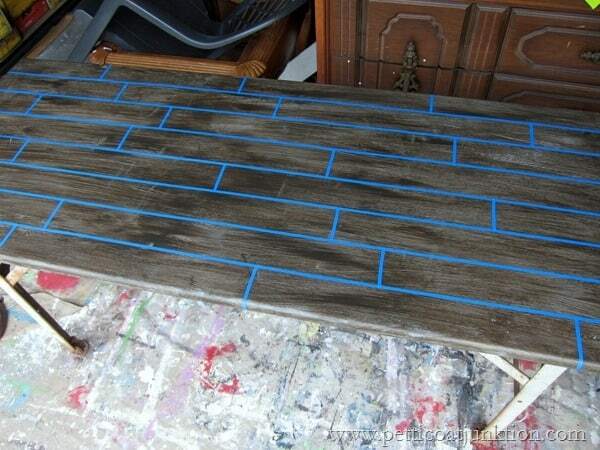 I used really narrow painters tape to make the antique looking multi-color plank table top featured in the photo above. (Click any of the pink links or photos to view the complete project). 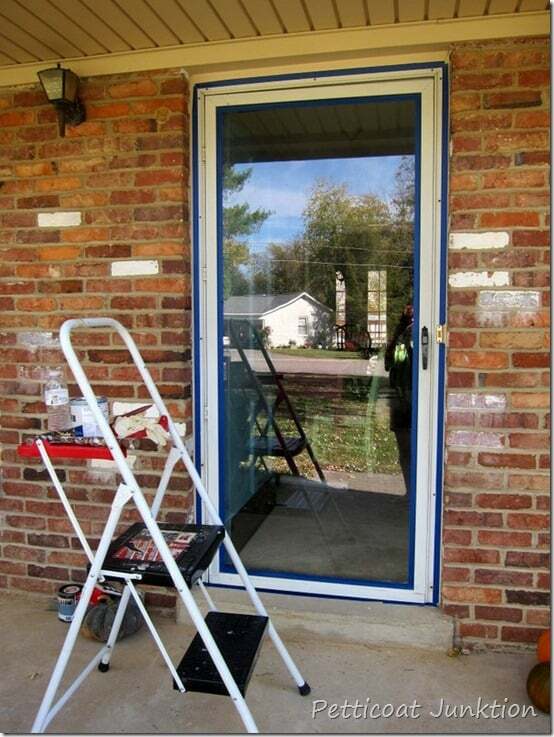 Paint a Metal Framed Storm Door. 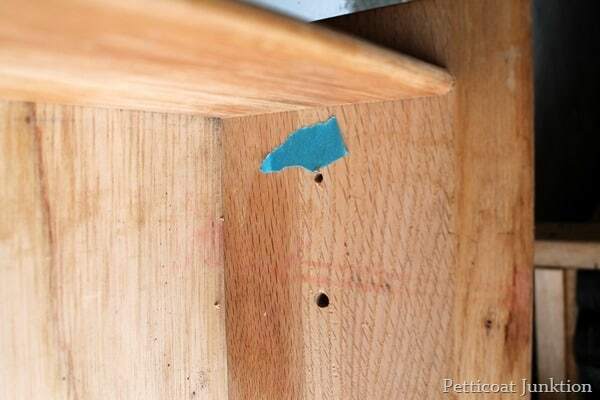 Painters tape comes in handy filling hardware screw holes on furniture. Sometimes I have to drill new holes and fill the old ones when replacing hardware. 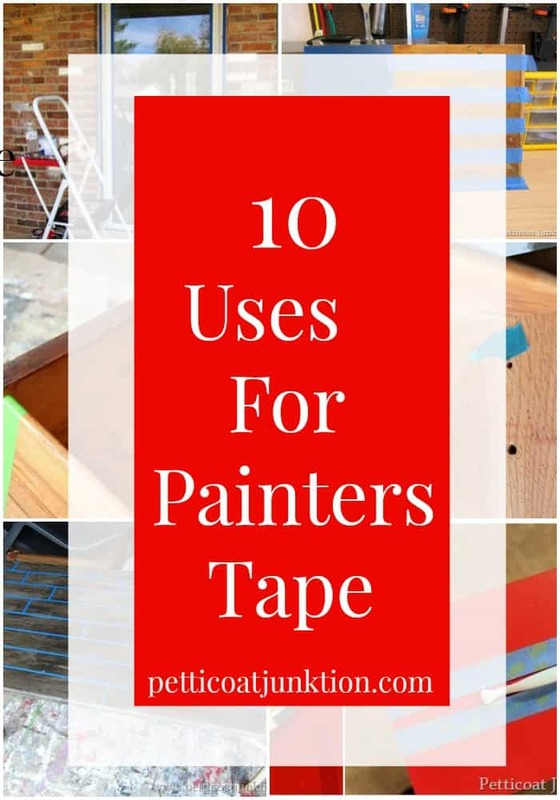 I cover the hole on the backside of the drawer with painters tape so the putty compound doesn’t leak through….also cover holes to keep paint from seeping into the drawer. No ugly mess. 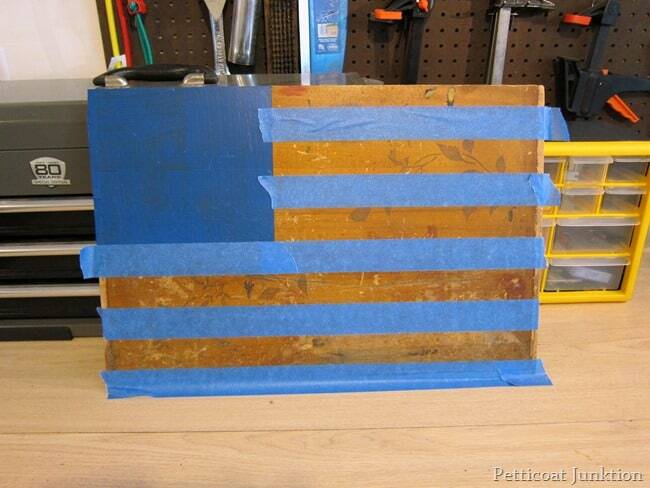 I also try to tape off the edges of the drawers when doing a furniture makeover. 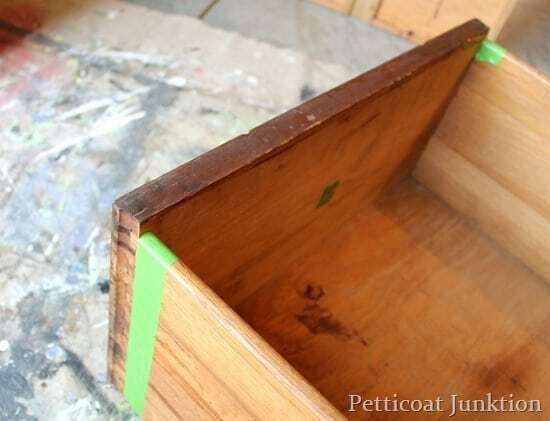 It looks much neater than slopping paint all over the drawer. Does anyone stencil?? 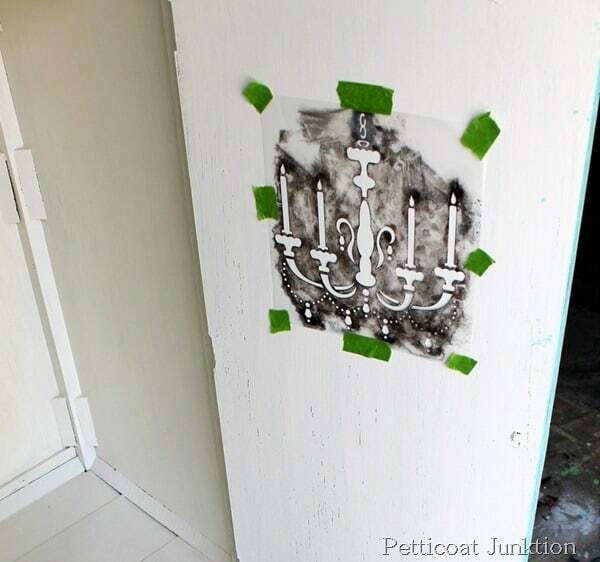 If my stencils don’t have a sticky back I always tape them in place. 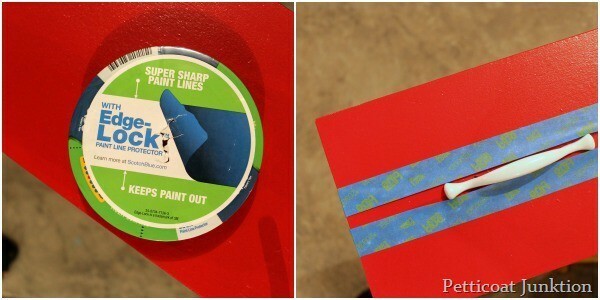 Do you have a painters tape tip or idea? Please share! You give the best tutorials, you make me feel like I know just what to do when I finish reading. I think you have the best blog. 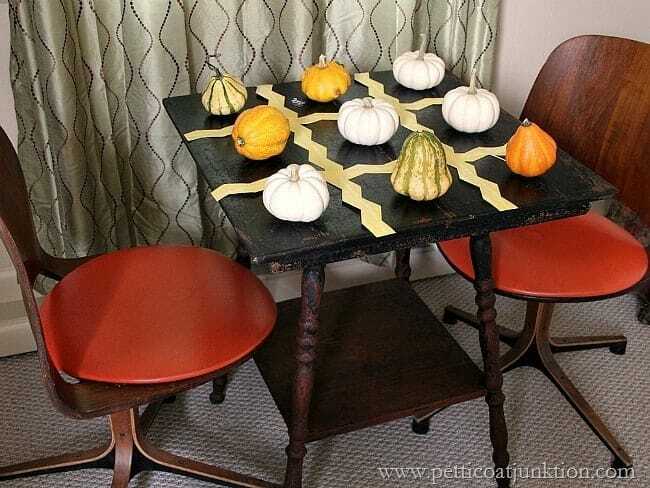 You do the kind of painting I love, rustic and primitive and sometimes a touch of glamour and elegance at times. Thank you for teaching this ol gal new tricks. Thanks for the frog tape info…..really helpful!